Open-air shelter located in the Benton Spillway section. Picnic tables and charcoal grills are provided with shelter. Site contains open area for recreatioin, an accessible latrine, drinking fountain, fishing and small boat access. 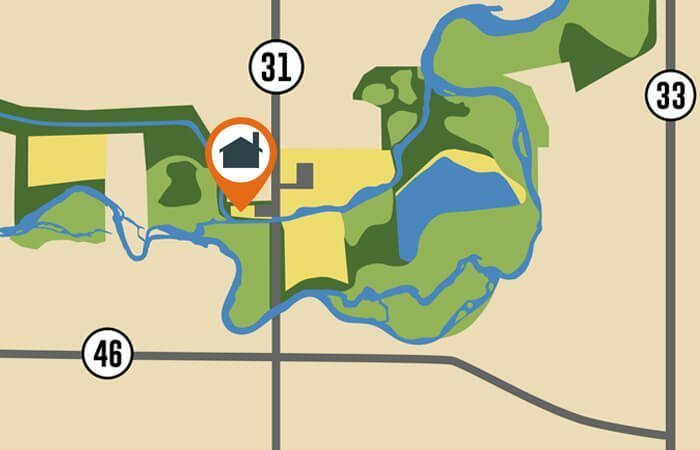 Miles of hiking trails lead along the historic canal through woods, restored prairies, meadows and wetlands to the Benton Spillway and Benton Dam. The area is listed as an Indiana Wildlife Viewing Area. Handicapped Accessible. Located at the Benton Spillway.